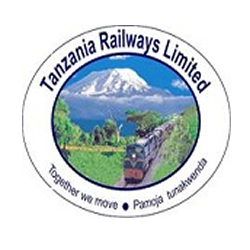 The TIB Development Bank, formerly known as the Tanzania Investment Bank Limited, has issued a TZS 12 billion working capital loan to the Tanzania Railway Limited (TRL) to improve the railway operations and efficiency in carrying passengers and transporting cargo. According to the TIB Development Bank Managing Director, Peter Noni, the working capital loan will help the TRL to increase their overall capacity of transporting cargo from 250,000 tons per year to 3 million tons of cargo per year and the bank will continue to work with the TRL to discuss new opportunities to provide assistance with the purchase of additional wagons. “We have firstly given them this working capital so as to make sure that they are operating without any unnecessary setbacks and after that, we will sit with them and discuss how we can also help them purchase more wagons,” he said. According to the Managing Director for the TRL, Amani Kisamfu, this loan will provide much needed assistance to the railway to improve their overall operations, but offered that there is room for additional investment in the railway from the private sector as well. The Tanzania Investment Bank (TIB) was established in 1970 as a development finance institution (DFI) and has now fully transitioned to the TIB Development Bank Ltd, which operates using a two tier structure, with a parent DFI and a corporate bank subsidiary.